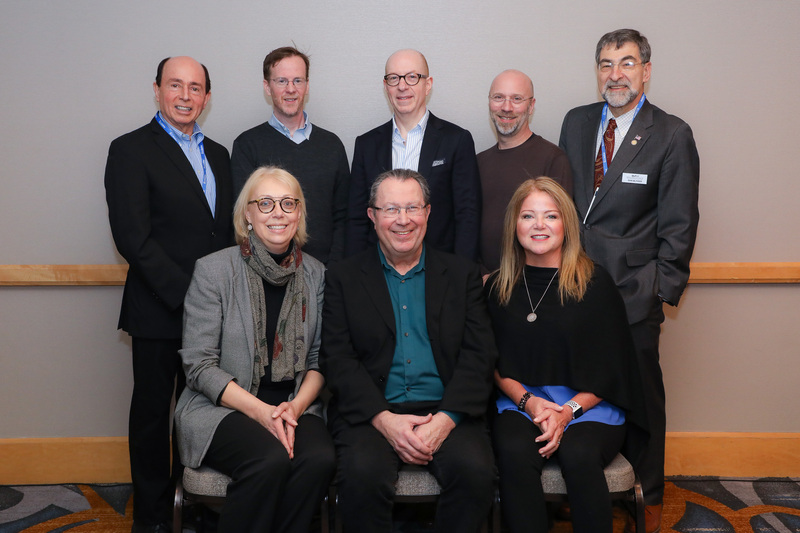 For its thirtieth anniversary, The Nuckolls Fund for Lighting Education held its annual event to present grants and awards to recipients at LEDucation held in New York, March 12, 2019. This year’s total of $70,000 brought the Fund’s distribution since its founding to $1,210,000. A 20,000 Nuckolls Fund Grant was given to Mississippi State University to assist in the development of a new class, Lessons from the Theatre: Architectural Lighting Design. The addition of the course to the current lighting curriculum will allow students to complete the requirements for a lighting certification. Principal investigator for this grant is Robin Carroll. James Bellovin Scholar Achievement Award: Andi Walter, University of Nebraska at Lincoln; Jules Horton International Student Achievement Award: Rohan Nagare, Rensselaer Polytechnic Institute; Designers Lighting Forum of New York, Student Achievement Award: Aldo Jacques Espina, Parsons School of Design, and Laura Hinkle, Pennsylvania State University. The deadline for receipt of applications for grants and awards for the 2020 Nuckolls Fund is October 31, 2019. Distribution to winners will take place March 17, 2020 at LEDucation to be held at New York Hilton Midtown. For more information, visit www.nuckollsfund.org. 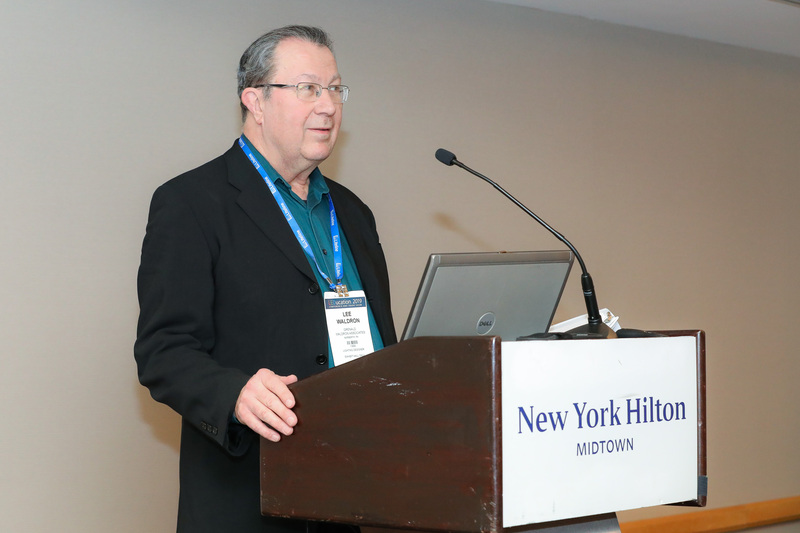 Jeffrey A. Milham, FIALD, FIES, has retired as president of The Nuckolls Fund for Lighting Education, which he led from 1989 to 2019. Milham has been succeeded by Lee Waldron, FIALD, director of Grenald Waldron Associates. In his announcement to the Fund’s Board of Directors and friends of the Fund, Milham summarized his tenure as leader of the group for three decades. Lee Waldron, new president of The Nuckolls Fund for Lighting Education, following the retirement of Jeffrey A. Milham who headed the organization for 30 years, at the LEDucation award ceremony. 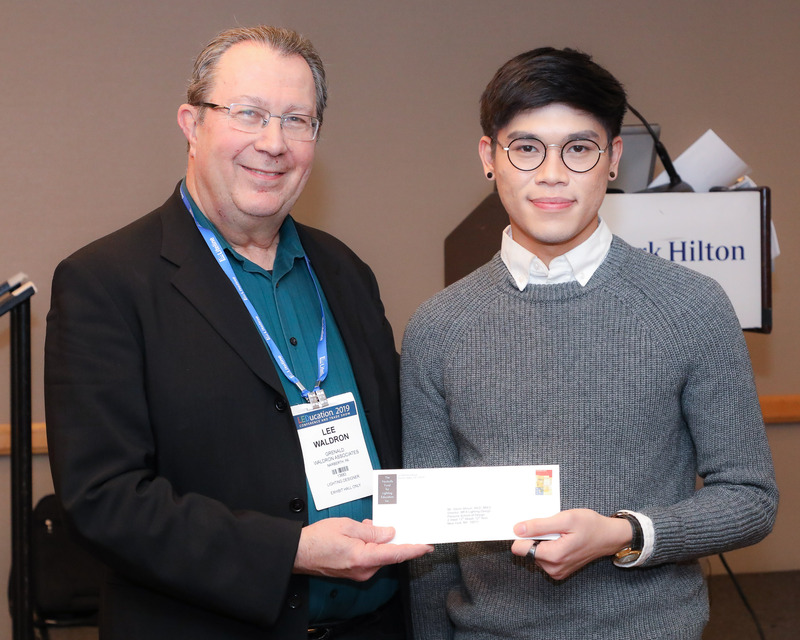 Aldo Jacques Espina, student at Parsons School of Design, receives a $5,000 award from Lee Waldron, new president of The Nuckolls Fund for Lighting Education, at the award ceremony held at LEDucation 2019. 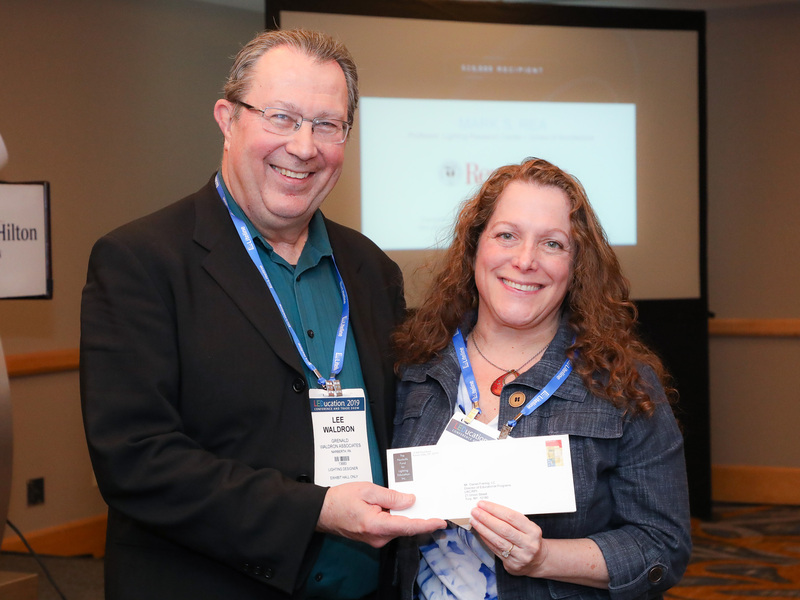 Leora Radestky, co-principal investigator at a new lighting course at Rensselaer Polytechnic Institute, Lighting for Plant Growth and Health, receives a $20,000 Nuckolls Fund Grant from Lee Waldron, new president of The Nuckolls Fund for Lighting Education, at the award ceremony held at LEDucation 2019. 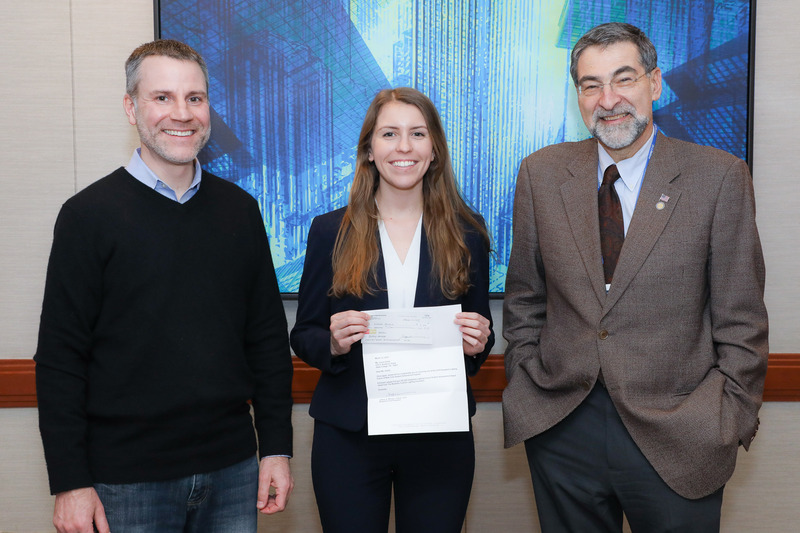 Laura Hinkle displays her certificate of achievement for winning a $5,000 award, with Kevin Houser, left, and Dan Blitzer, right, presented at The Nuckolls Fund for Lighting Education award ceremony held at LEDucation 2019.